Aromatics and the Soul: A Study of Smells provides information pertinent to the fundamental aspects of the olfactory system, particularly in human beings. 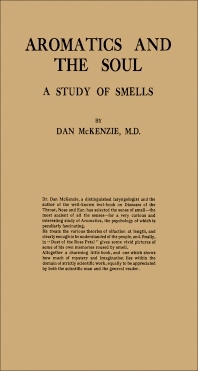 This book discusses the intimate connection between the sense of smell and the nerve centers which, when stimulated, evoke the feeling of nausea in the mind. Organized into nine chapters, this book begins with an overview of the importance and role of olfaction in public health. This text then examines the olfactory development in lower animals. Other chapters consider the anatomical structure and the physiological action of the sense of smell. This book discusses as well the effect of odor on the mind and the olfactory influences in folklore, religion, and history. The final chapter deals with the various theories of the sense of olfaction. This book is a valuable resource for laryngologists, medical practitioners, and etymologists.